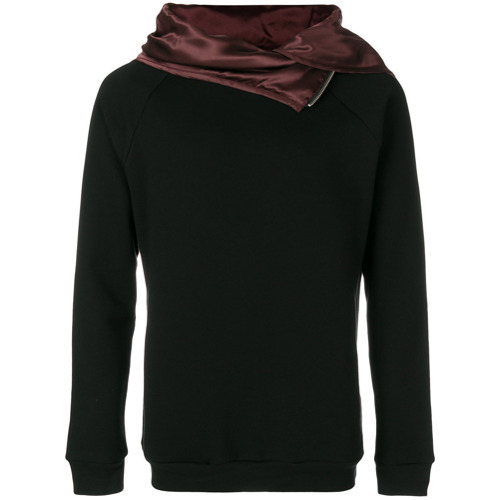 If you're on a mission for a casual yet dapper look, team an Unconditional zip funnel neck hoodie from farfetch.com with black chinos. These pieces are totally comfy and they also look amazing when worn together. Finish off with black and white low top sneakers and off you go looking amazing. 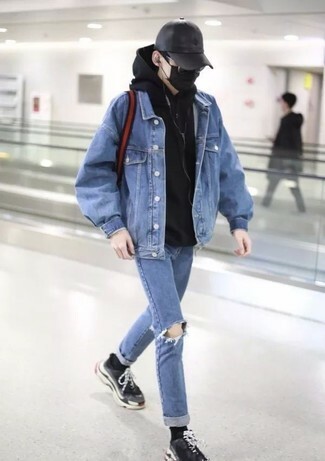 We're all seeking comfort when it comes to dressing up, and this combination of an Unconditional zip funnel neck hoodie and blue ripped jeans is a great example of that. When it comes to footwear, this outfit is complemented well with black athletic shoes. 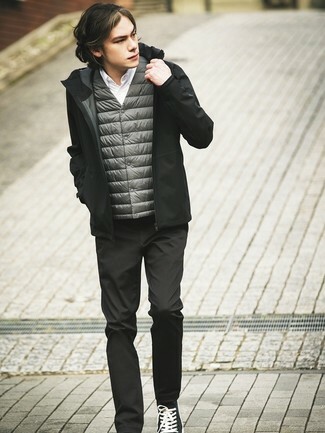 If you're on the hunt for a casual yet sharp outfit, dress in an Unconditional zip funnel neck hoodie and black chinos. These two items are totally comfy and will look wonderful paired together. To bring out the fun side of you, finish off your getup with black leather high top sneakers. 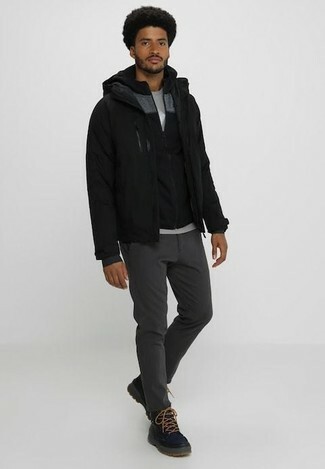 This off-duty combination of a black hoodie and charcoal chinos is extremely easy to put together in no time flat, helping you look on-trend and prepared for anything without spending too much time rummaging through your wardrobe. Make black leather work boots your footwear choice to infuse a sense of stylish effortlessness into your outfit. We're all seeking comfort when it comes to dressing up, and this combination of an Unconditional zip funnel neck hoodie and black ripped skinny jeans is a practical illustration of that. When it comes to footwear, this look is complemented wonderfully with grey athletic shoes. 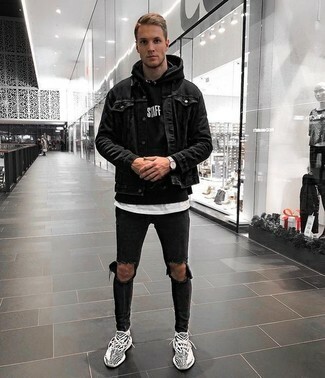 If you're a fan of relaxed dressing when it comes to your personal style, you'll love this stylish pairing of a black hoodie and grey ripped jeans. Add a glam twist to your ensemble with tan suede chelsea boots. 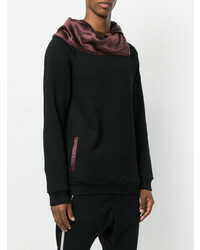 Consider teaming an Unconditional zip funnel neck hoodie with white sweatpants to be both casual and cool. Wearing a pair of black leather casual boots is an easy way to add some flair to your ensemble. 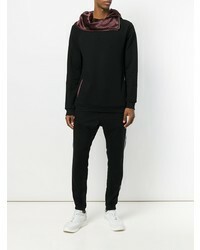 If you're all about being comfortable when it comes to piecing together an outfit, this combination of an Unconditional zip funnel neck hoodie from farfetch.com and black skinny jeans is just what you need. Black and white high top sneakers are an easy option here. 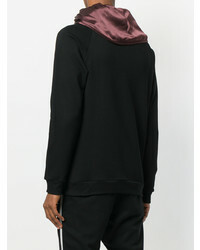 If you're a fan of relaxed dressing when it comes to fashion, you'll love this easy pairing of an Unconditional zip funnel neck hoodie from farfetch.com and black skinny jeans. 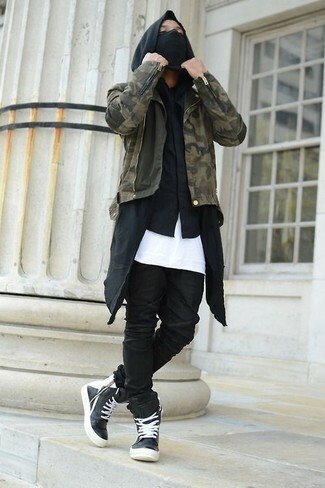 When it comes to footwear, this look is finished off really well with black and white athletic shoes.